Gary Cooper and Matthew Taylor lead a team of exceptional florists who are knowledgeable and passionate about flowers and floral art and are excited by new trends in art, design and fashion. Founded in 2004, Fabulous Flowers has stores in Oxford and Abingdon and a successful wedding and event floristry business. They regularly travel to Holland and other European cities in search of new products and ideas to keep them at the forefront of floral design. 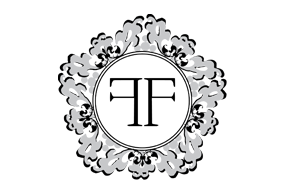 The Fabulous Flowers Team pride themselves on their individuality and attention to detail coupled with their excellent customer care and staff knowledge. They live up to their name 'Fabulous Flowers'! "My love affair with flowers started at a very young age when I requested a large poly tunnel for my 10th birthday. The first flowers I grew from seed were amaranthus (love lies bleeding) and I still have a love of these flowers today and use them to create dramatic pedestals and chandeliers. Floristry was not my first career and I rediscovered my love of flowers whilst designing and installing an amazing roof garden at a property in Oxford. Working with flowers and plants on a daily basis is a dream come true. This, combined with my passion for fashion and design, I would consider myself extremely fortunate to be able to create designs with flowers for so many special occasions and events. I personally view floristry as an art form and myself an artist with the most amazing pallet. Flowers are a luxury item and I am aware of the time, skill and love that it takes to grow every single bloom and this drives me to create fabulous flowers that get noticed"
I am a die-hard romantic with a penchant for parties, which I put down to my childhood of weekend parties and entertaining. I had an amazing Grandmother who spent hours teaching me flower arranging, baking, crafts and lots of party essentials. After a career in the food industry managing the catering at some of the country's most prestigious companies, I turned my attention to my other passion - floral design. I love drawing on my experience to create fabulous floral designs for Oxfordshire's best weddings and parties. It's very important for me to get to know my clients personalities and style to really understand and exceed their expectations. I have been very lucky to work with some of the top wedding and party experts in the country and have an enviable black book of supplier contacts which I happily share with my clients.